Two railroads used to converge here; the Missouri Pacific and the Santa Fe. The MoPac was merged into the UP and that line was sold to a shortline carrier (now Central Kansas). The Santa Fe was sold to the Garden City Western and has removed rails a few miles south of town. 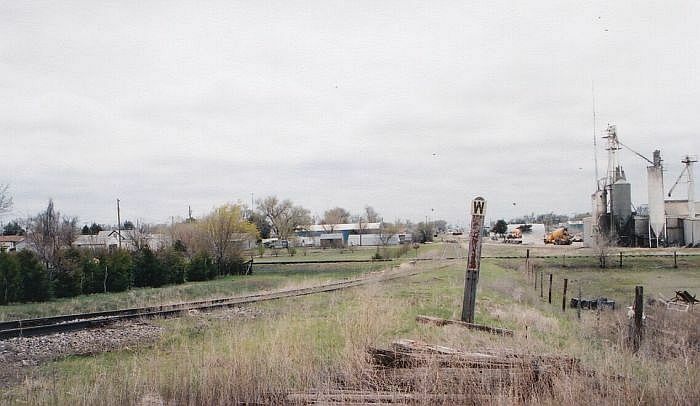 Looking south where the Santa Fe used to enter town from Garden City and turn east. The former MoPac crossed in the distance and has now been sold to a shortline operator since the UP merger. Sadly the line is severed about 1/2 mile further south. The line is in tact about 3 miles further south all the way to Garden City. 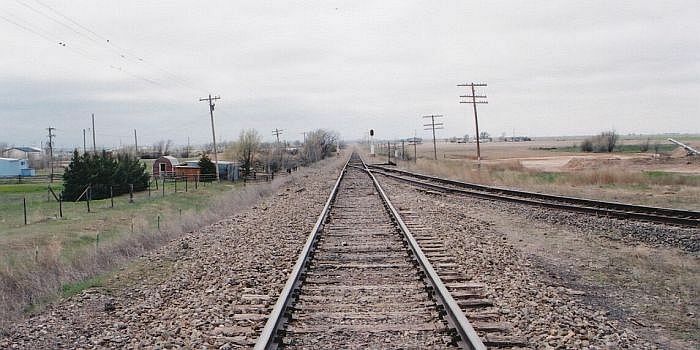 Looking west on the MoPac line from Scott City. 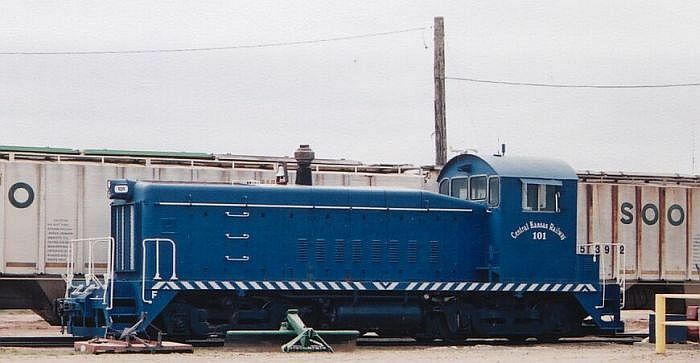 A Central Kansas switcher idles in Scott City.